Patient-driven abuse: it's a sad but true reality for nurses, doctors and medical assistants today. 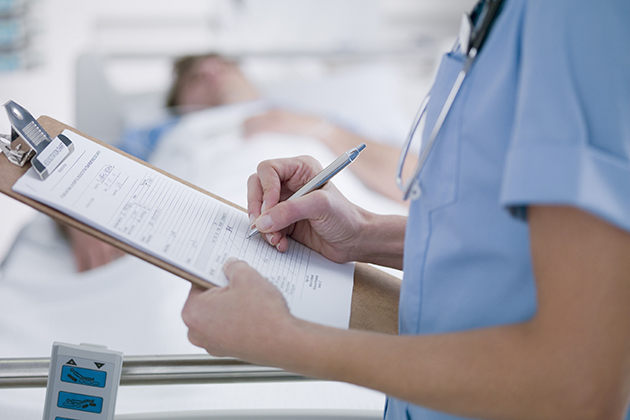 As a hospital administrator, keeping your staff safe is obviously an essential priority, and your organization no doubt has policies in place to make this happen. Are those policies as effective as they can be, though? Healthcare workers underreport violent encounters with patients. A study from Australia's Curtain University of Technology found that only 1 in 6 incidents of verbal abuse, physical threats, or actual physical assault from patients that nurses experience is reported on average. This statistic is even more shocking when you consider that this study found three-quarters of nurses have directly experienced such abuse. Don't allow your nurses to simply adapt to abuse as part of their jobs — correct that mindset by emphasizing that you want them to report every incident, and that you care about their well-being. Make sure employee debriefing is immediately available. Patient-driven abuse causes lasting damage. Research from the University of Montreal found that healthcare workers who directly experience or witness any form of abuse by patients are 16 times more likely to develop feelings of anger, fear, disgust, and sadness related to their jobs as well as serious conditions like PTSD. Employee debriefing should be swiftly deployed for any employee who needs it, and follow-up should be done if employees need further counseling or treatment for any emotional issues they subsequently develop. Have clear policies in place for your home healthcare-affiliated workers. A study from Johns Hopkins School of Nursing found that home healthcare workers often face harassment and abuse from patients during home visits and frequently haven't been given guidelines on how to handle it. Implement clear procedures for documentation of incidents, how to leave leaving a home if need be, understanding the warning signs of violence, and communication/de-escalation strategies so your workers feel safe and in control. Review your risk assessment strategies. Meet with your organization's executives after every incident of reported abuse to make sure everything is being done most effectively when it comes to patient screening and evaluation so future incidents may be more easily predicted and avoided. Consult with security professionals to make sure the measures you have in place are as up-to-date in terms of your organization's needs as they possibly can be. Keep on top of your wards. Immediately meet with the staff on any ward where an incident has occurred to get a fast, accurate overview of what occurred. Reassure your healthcare workers that you are on top of the situation and then back up that promise by reporting back to them on how each case of abuse was fully evaluated and investigated. The trust you build in doing this is invaluable to your organization's safety goals — and your workers' peace of mind.